The Overwatch League first came to fruition in 2017, the year before games would officially begin. For its inaugural season, the league sold out the Barclays Center in New York City for the Grand Finals and received the award for the Esports Live Event of the Year during the Esports Awards. Viewers will see a few changes in the league’s structure when Season 2 rolls around Feb. 14. For starters, eight new expansion teams signed on for the upcoming season, increasing the total number of teams competing in the league to 20. Likewise, games have been spread across a schedule featuring more frequent breaks with the All-Star event taking place mid-season to accommodate for player fatigue. 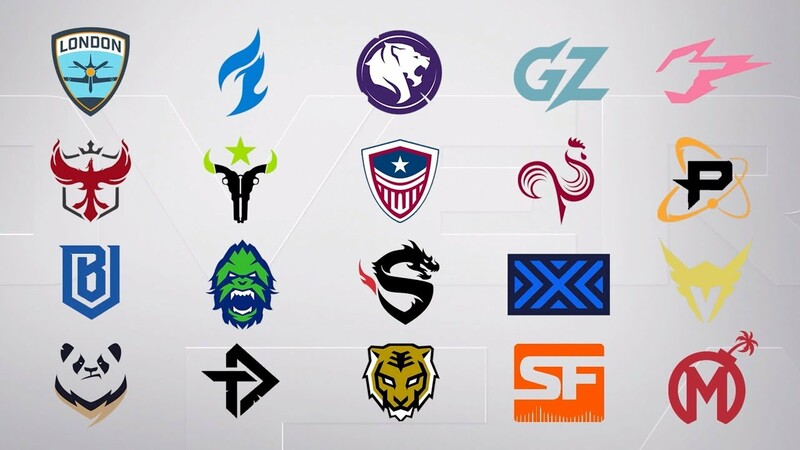 Homestand weekends will also be introduced, where the Dallas Fuel, Atlanta Reign, and Los Angeles Valiant will each host games on their home turf. With its foundation and the changes the league has implemented for Season 2, the Overwatch League has found immense success as a professional league still in its early years, but there’s much more that contributes to the league’s popularity than just that. Here are five reasons why the Overwatch League is one of the best professional eSports leagues. The Overwatch League broadcasts are well-structured and clear for both the most die-hard of Overwatch fans and those who may be watching their first Overwatch game. With the introduction of team skins, or in-game team colorations of each of the 29 heroes’ base skins, viewers can clearly differentiate which characters are on which team. Likewise, the Overwatch League showcases short, yet concise videos for each of its four different map types played in a match to help newcomers integrate into the scene. 4. Knowledgeable broadcast talent – To help with viewability for first-time viewers, the Overwatch League has enlisted the skills of its broadcast talent who provide expert insight in a personable manner. The team is split between the Watchpoint Desk, caster pairs, and league insiders. Each role shines a light onto different areas of the match weeks; casters help viewers understand critical moments of games as they’re happening while analysts introduce matches and reflect on games in their entirety after they have concluded. League insiders interview players in between matches to help connect players to their fans. From traditional sports leagues to new eSports leagues, it’s important that leagues have protections set in place for players, including those that protect salaries and contracts. The Overwatch League has taken the steps required to ensure professional players are set up for long-term success during their time in the league. Players are guaranteed an annual salary a minimum of $50,000 with employer-sponsored housing and health insurance, which was first determined in the inaugural season. With the schedule changes introduced to Season 2, players will also have more time to rest in between stages to help combat player fatigue. Following in the footsteps of many traditional sports leagues, the Overwatch League features city-based locations for each of its 20 teams. From Hangzhou, to London, to New York and San Francisco, teams are scattered across continents so fans from around the globe can find a team closest to them. Building a team around a city links players to the city’s culture and with those fans living there, allowing each of the franchises to establish deep-rooted connections with their fan-bases. Overwatch has one of the best live viewing experiences of any eSport. Those who purchase tickets will have access to watch the games live at the Blizzard Arena, where they can connect with other like-minded fans and get the chance to meet their favorite professional players for free. This year, the Overwatch League is offering VIP benefits for Season Pass holders, who will receive a number of free souvenirs such as a signed Soldier: 76 statue from their team of choice, as well as the opportunity to enter the stadium 10 minutes early each day to get the first choice in seating.